Hello! 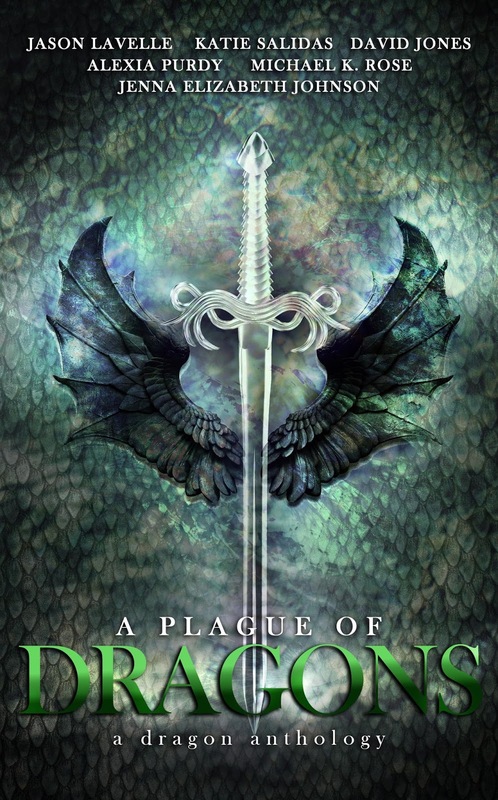 Today's A Plague of Dragons (Kindle link) interview is with David Jones. His story in the anthology, The Sky Hunter, is a sci-fi take on dragons! Tell us a bit about your story. The Sky Hunter is a sci-fi military story that introduces us to Ilana, a human warrior who was raised by the Ociel, a race of dragon people, on their islands in the sky. Her past is a mystery, even to her, and that’s partly because of the Ociel, so she resents them. Ilana is relatively new to being a Sky Hunter, and wears a special suit of armor called the Aether Suit that allows her to keep up with her fellow warriors. She descends to the surface world, which is absolutely foreign to her, with the intent to fulfill this final mission for the Ociel elders, and then go off on her own. This story essentially blends Metroid, Mega Man X, Jurassic Park, dragons, and Little Shop of Horrors together in really fun ways, and Ilana is by far the strongest, most badass character I’ve written to date. 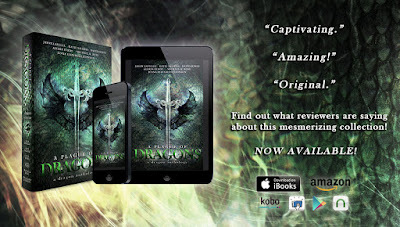 Have you written any other dragon stories? The first book I ever wrote is called Onyx The Half Hero Dragon. It’s still unreleased, but it’s a story that I’ve always loved. I’ve grown a lot as a writer since I started work on Onyx, which has had a ridiculously long development history, but I have every intention to release Onyx by the end of the year. Onyx The Half Hero Dragon is a coming of age story about a young bionic dragon who grew up on a mythic island, and was raised by a mechanical engineer named Sheila. They set out to explore the island they live on to hunt down components for a powerful new weapon, and quickly find themselves caught up in war. There's much more to the story, obviously, but I'm not about to spoil everything here. Will there be a sequel to The Sky Hunter? I would love to write a sequel to The Sky Hunter. Ilana's world is full of possibilities, and even I don't know where she's headed. To check out The Sky Hunter plus five more dragon tales, get your copy of A Plague of Dragons! It's just 99 cents for a limited time!